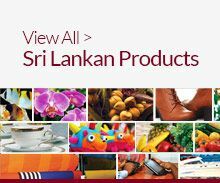 Sri Lanka is well geared to meet global market demand for fast, high quality ethical fashion products. Environmental	friendly factories – world’s first LEED certified Platinum rated production facility. Ethical	practices–known	to the	world as	a	producer of “Garments without Guilt” under the principles of Ethical working conditions, free of child labour, free of forced labour, free of discrimination on any grounds, free of sweatshop practices. International reputation as a reliable and a quality manufacturer with a highly competent, skilled and literate workforce. Large number of companies that are regional players	and have the capacity to provide competitive regional advantage by harnessing regional strengths in the supply chain. Focus to improve speed	on	delivery using strategic location advantage, coupled with the conducive business friendly environment within the country. Innovation focused factories which	offers superior	product development and design resources. Investment	friendly government policies and strategic shipping advantage.